Having never attempted to crystallise an orange before I was a little worried about how they would turn out but they seemed to work. They become very sticky and chewy but also suprisingly easy to cut neatly with a sharp knife. If you like marmalade you will love them and if, like me, you don’t, you may still be pleasantly surprised. I also think this cake would make a great festive centrepiece on a dessert table. 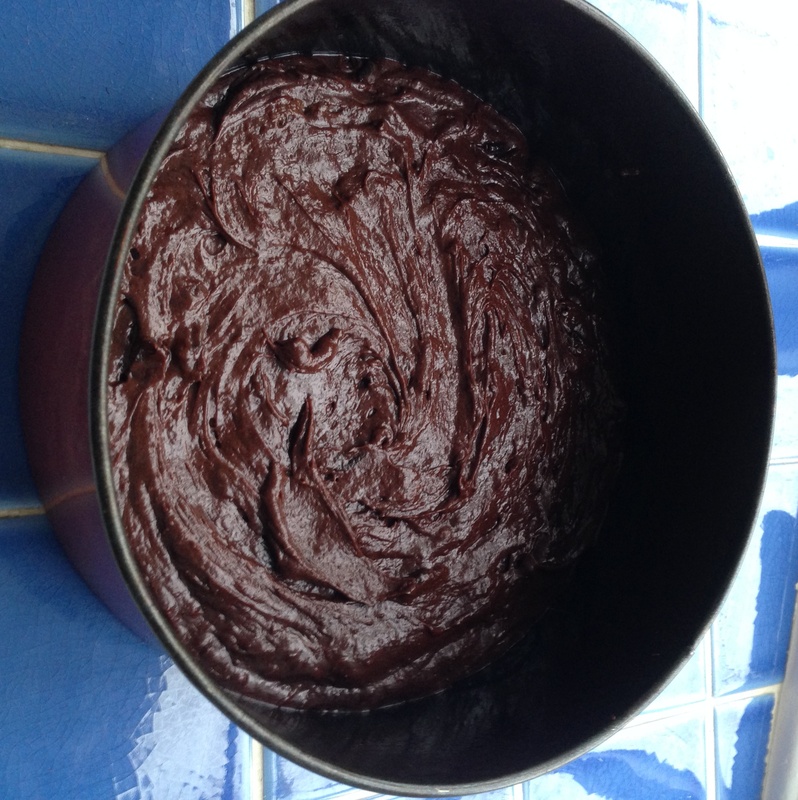 Set the oven to 150ºC and grease and line the base of a loose-based 8″ cake tin. 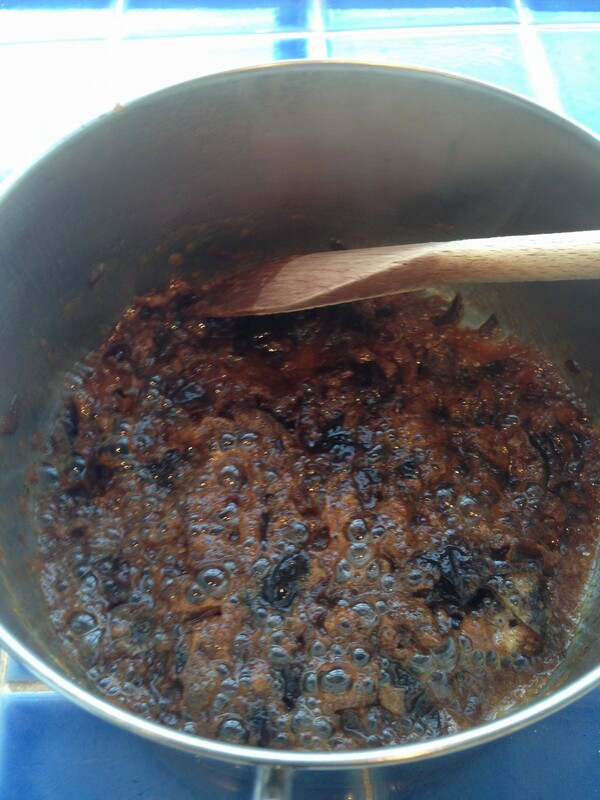 Put the chopped prunes into a saucepan with the water and cook for 3 to 5 minutes. Mix in the bicarbonate of soda (it will fizz) and set aside to cool down. Melt the butter and chocolate in a saucepan. 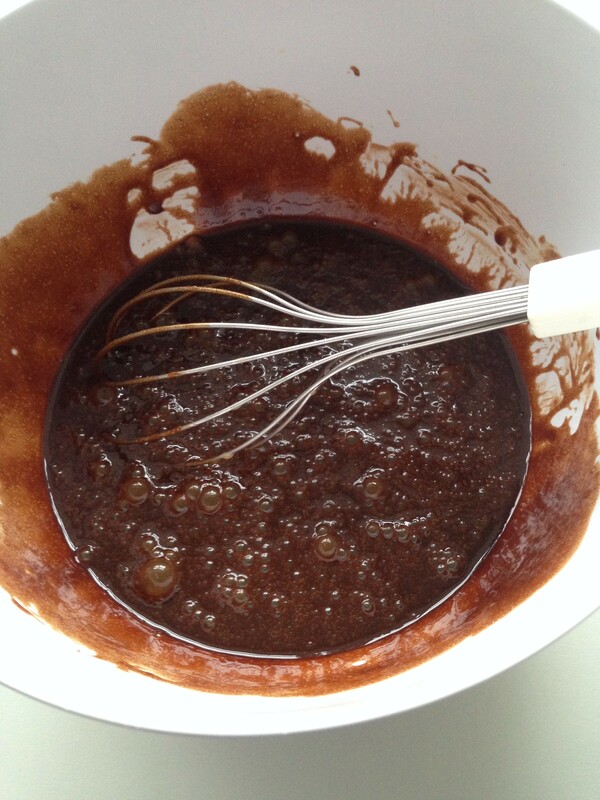 Put the sugar into a large bowl, pour the chocolate mixture in and beat together. Sieve in the flour, cocoa powder and ginger and fold in. Finally fold in the prune mixture. Spoon into the prepared tin and bake for around 35-45 minutes or until a skewer inserted into the centre comes out clean. Allow to cool in the tin for a while before removing and leaving to cool completely on a wire rack. Melt the cream and chocolate together and whisk until smooth and silky. I think I let my chocolate get too hot and my ganache definitely did not look as good as it could have. Luckily it didn’t affect the taste. Allow to cool a little and spoon over the cake. Smooth the top and sides with a palette knife. Slice the oranges into about 5mm slices. Set the oven to 130ºC. Put the sugar and water into a saucepan and heat until the sugar has dissolved. Add the oranges and simmer in the sugar syrup for about 15 minutes. Cover a baking tray with baking paper and place a wire rack on top. 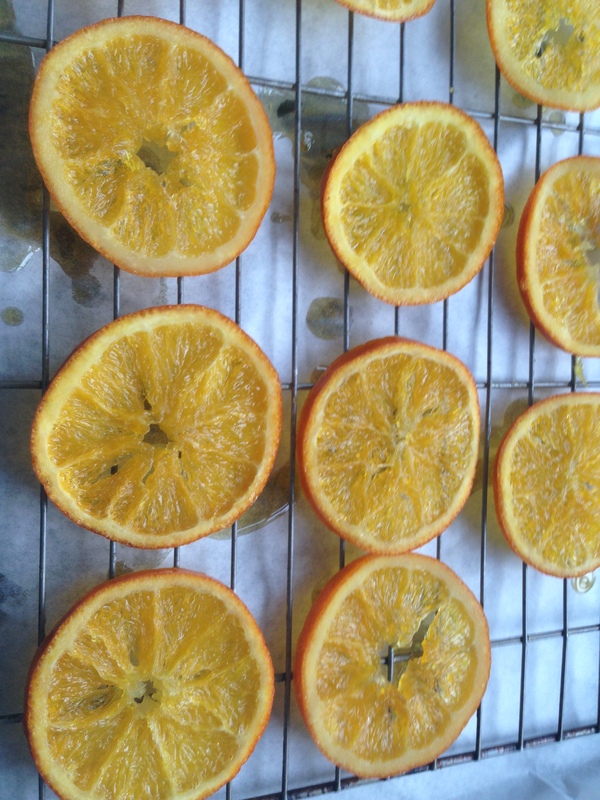 Lay the slices on the wire rack and put into the oven for around 20-30 minutes, until the oranges are crystallised but not burnt. Allow to cool completely before arranging on the cake. 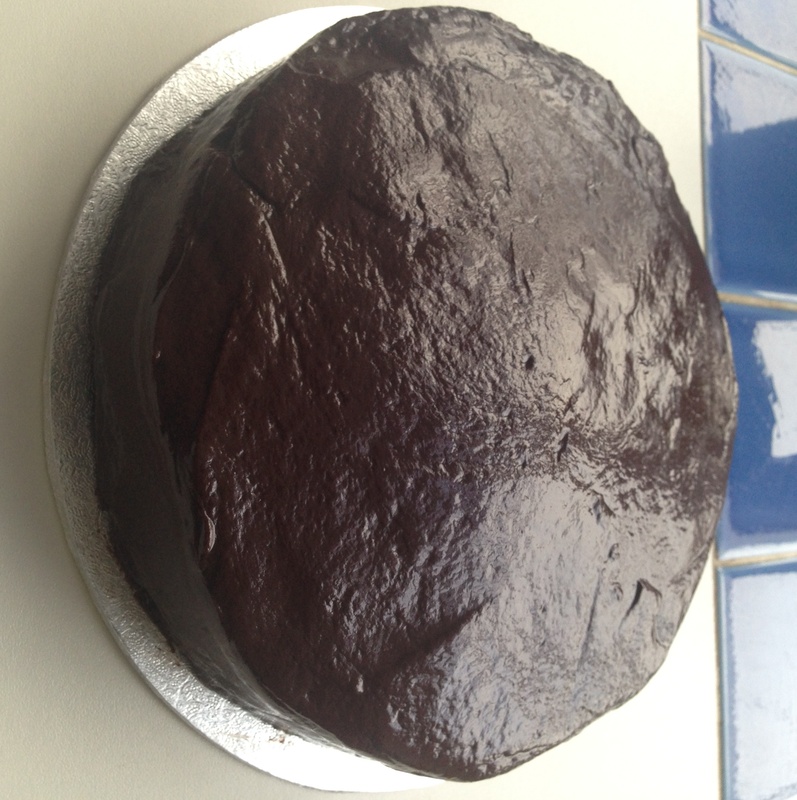 Thank you – and in relation to birthday cakes, happy birthday to you! yum yum. 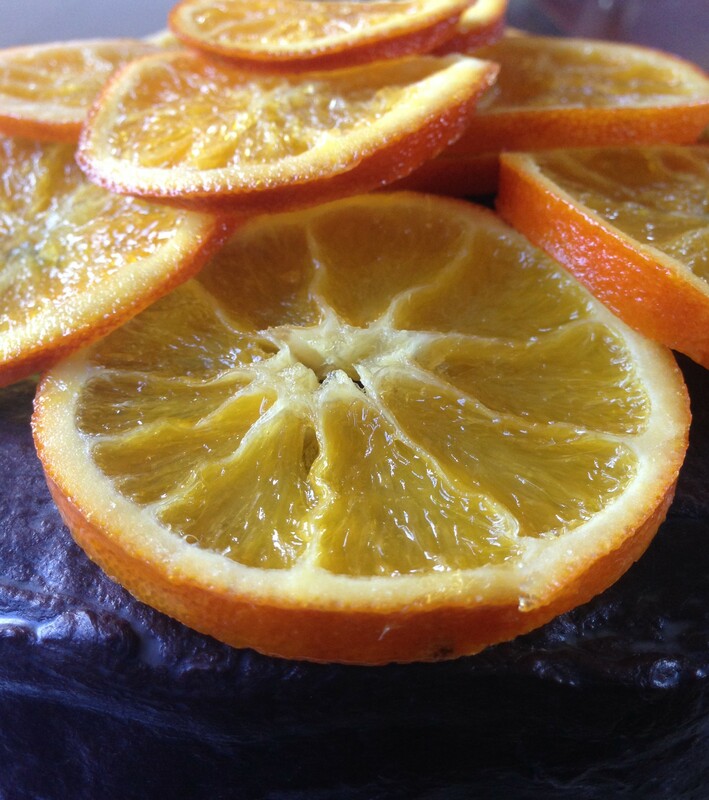 love the addition of crystallized orange! Thanks, they make an interesting change! 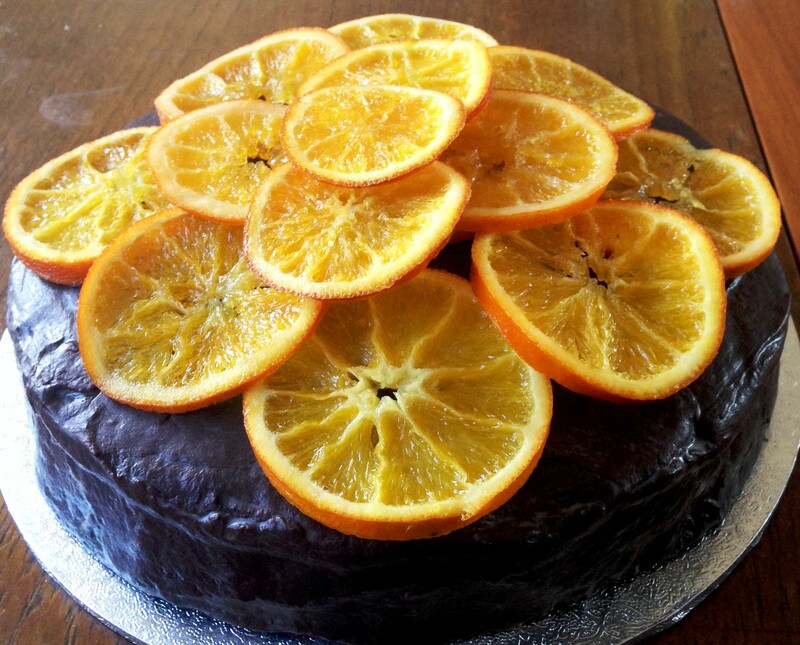 I love crystalized oranges and love how they look on this cake. It’s beautiful — like a gift itself — and sounds delicious. Thank you very much, it definitely made a great change and was very festive.